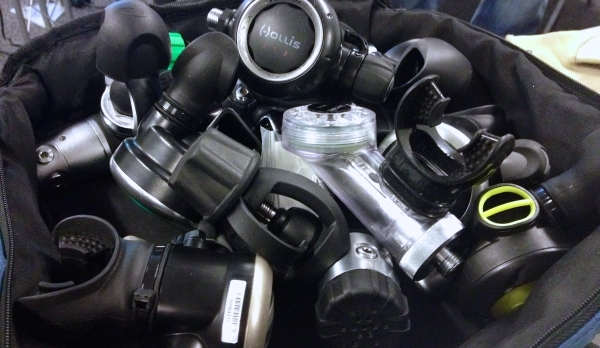 The equipment we use as scuba divers are what keeps us alive while underwater. It is “life support equipment” that must be repaired, adjusted and tested only by qualified individuals with the correct training. Even for mechanically minded people, the procedures required to keep this life support equipment in a new factory condition is not intuitive and requires explanation, and access to specialized service outlines and also custom tools to do it properly. 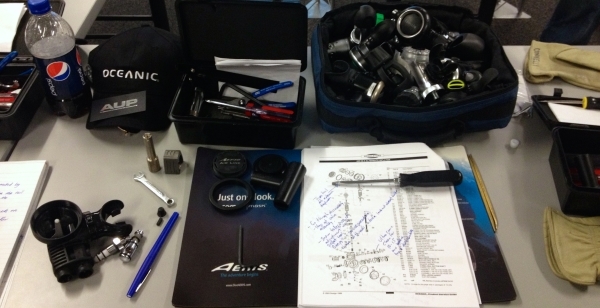 Abyss Scuba Diving is happy to announce that we have just released manufacture authorized Scuba Service Technician Training Course which will provide eligible participants with formal training in the repair and maintenance of scuba diving (Open Circuit) equipment produced by 3 of the industries leading brands; Oceanic, Hollis and Aeris. 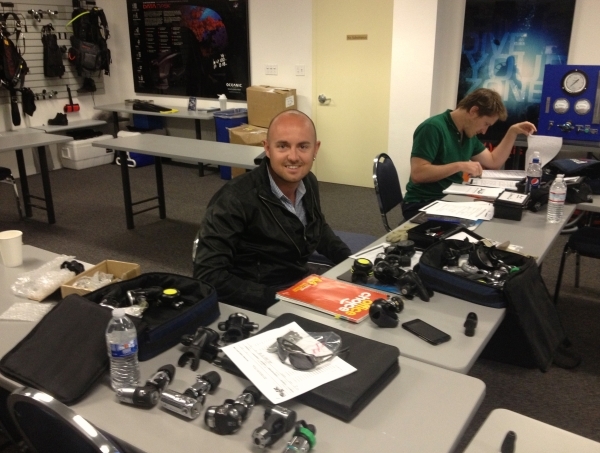 Carl Fallon, Our ‘Platinum’ PADI Course Director recently travelled to San Francisco in the USA to the HQ of American Underwater Products where he did Service Technician Instructor Training for all three of these brands. There are several reasons why you would benefit from doing this course. Dive professionals looking at increasing their career opportunities and those wanting a more thorough understanding of the workings or dive equipment and their features and functions. 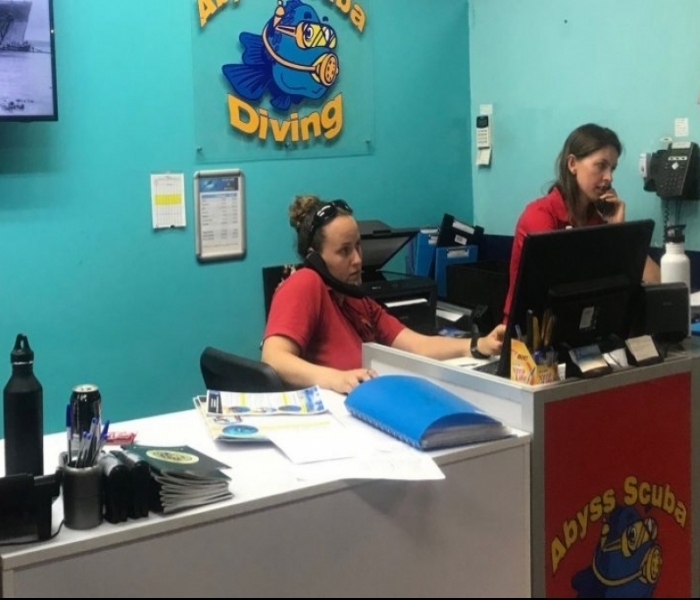 For Dive Center owners and those planning to set up in business, it is a comprehensive course that will enable you to offer these services to your customers. This is part of a Dive Center Management training course run by Abyss. PADI Instructors wanting to achieve their Equipment Specialist Instructor rating can combine the PADI Instructor rating with this training and easily achieve both qualifications. 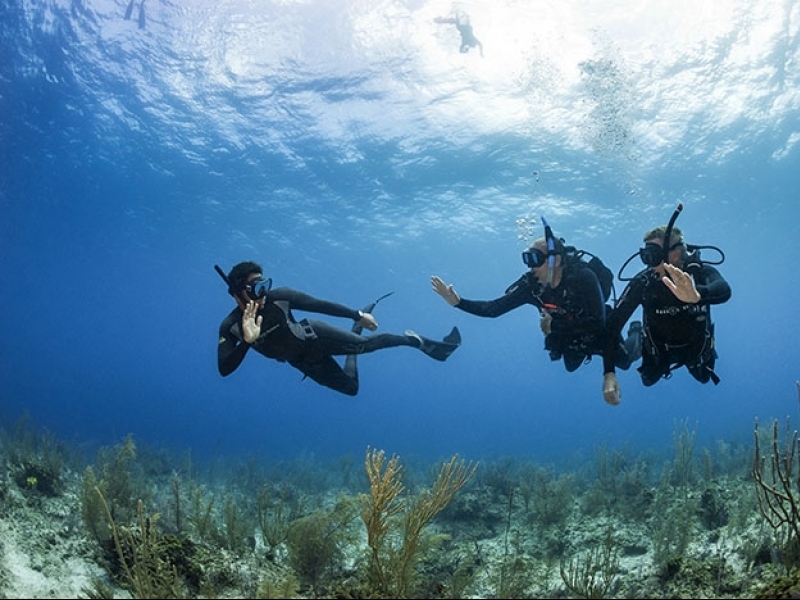 This training is designed only for dive professionals doing their training through Abyss Scuba Diving. This is because we want every one of our candidate to have a base knowledge of dive theory and basic equipment functions prior to starting. PADI Instructor or other Instructor who is from another agency doing a crossover with Abyss. PADI Divemaster’s who are currently undertaking a diving internship within our Career Development Center may also attend this program. Please note that Dive Masters are unable to attend the PADI Equipment Specialty Instructor training portion. This is an approved course covering all aspects of service, repair of maintenance of Oceanic, Hollis and Aeris Scuba equipment. Testing and repair procedures of Inflator mechanisms. The course is designed to give as much emphasis on practical knowledge and skills with a large proportion of the course devoted to ‘hands-on‘ practical work. A highly practical course, with hands-on experience in a real scuba workshop within our busy service centre.